Enjoy a root and rummage any Wednesday and Sunday morning throughout the year. The usual suspects abound: vegatables,fruit, leather goods, Spanish tablecloths, shoes etc., but really, there’s a bit of everything here. Good clean fun for serious hunters of holiday bargains. Oh, the pleasure! Every Wednesday and Sunday mornings. Junk or treasure, that’s entirely up to you. But you’ll find anything and everything on which to base your opinion. Held every Sunday and one Saturday each month. Located where the by-pass meets the old N-332 in the direction of Alfas del Pi. Sundays and one Saturday a month. There are markets along the Costa Blanca every day and these usually operate from about 9/10am until about 2pm. You will find a wide range of goods on sale such as clothes, shoes, towels and blankets, ceramic pots and dishes to mention just a few. Prices do tend to be fixed and not a lot of bartering takes place but if you feel you are being charged over the odds you should try some bartering – the sellers may claim not to speak English but most of them have some knowledge of the language. Below we have created a complete list of markets on the Costa Blanca by day. There are also flea markets on some days which sell some old Spanish items which you may find interesting. They are known as “antique” markets but you are unlikely to find many genuine antiques. Altea has an arts and crafts market in the Placa L’Eglesia at the top of the old town from 7pm – 1am every night from July to September. 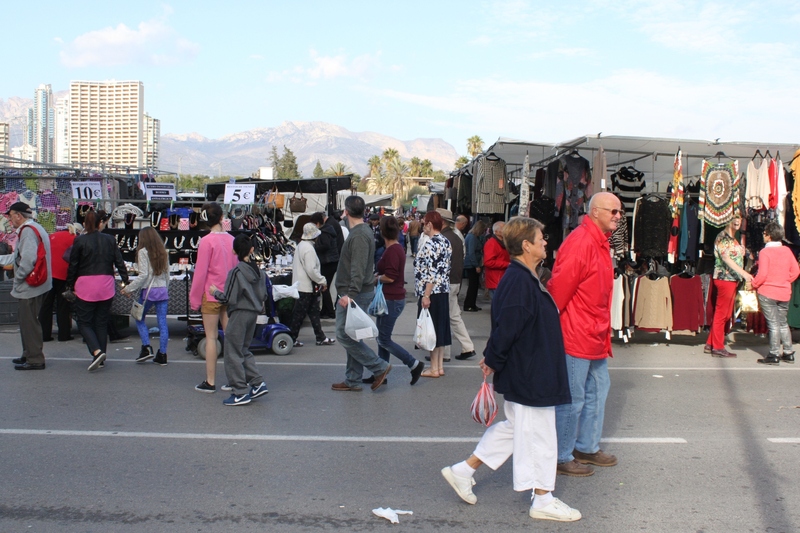 Calpe has an arts and crafts market in the Old Quarter from 8pm – midnight on Tuesdays and Saturdays in July and August. Javea has a market from 10am – 11pm every day during Holy Week in the Old Town where you can buy iron, paper and wood products.